38. HAPPY NEW (SCHOOL) YEAR!! I have been teaching English to kids in Japan for more than 20 years: public elementary schools in Tokyo for 11 years, and Hello Kids Komazawa for the last 9. 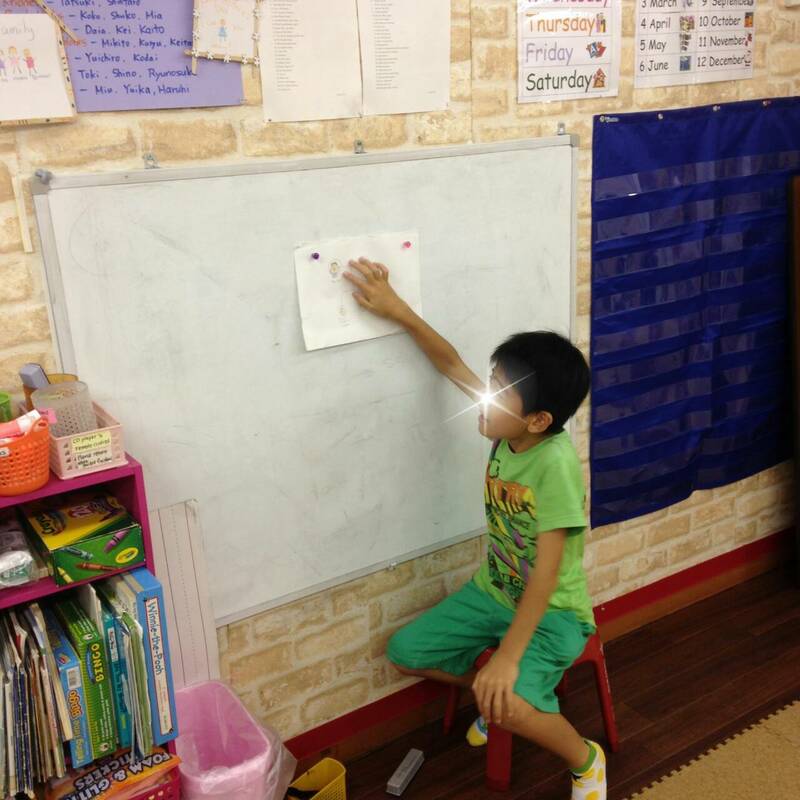 For 3 years I have been teaching weekly lessons to students at Tsutsujigaoka Kindergarten. As I tend to stay at the same workplace for a long time, I've been able to see the long-term results of my work. 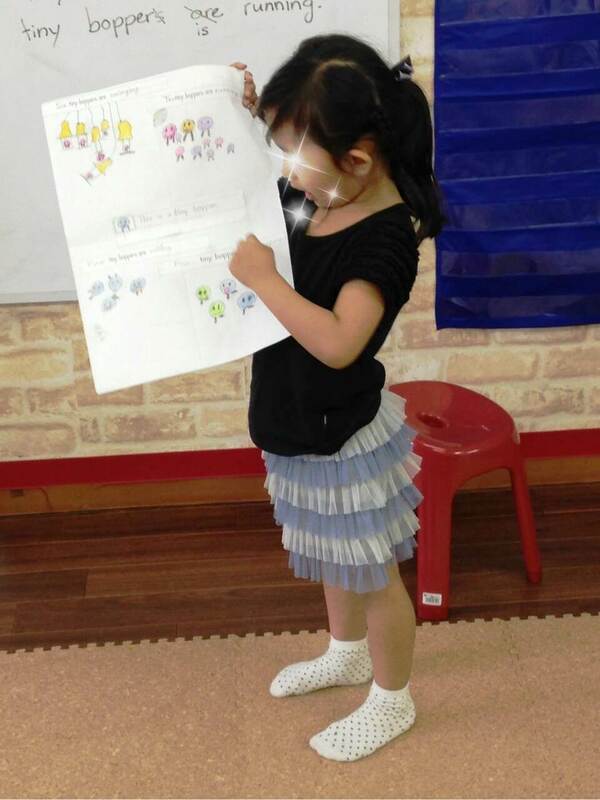 Being able to really see children's English communication ability grow has been very rewarding. I mainly use APRICOT materials in my classroom. They best suit my goal of having students use as much English as possible while developing confidence and self-esteem. I enjoy teaching development, and I love discussing English education with other teachers! To be an effective communicator in a foreign language, you need much more than just knowledge of the target language. You need to have communication strategies AND you need to have a positive attitude towards expressing yourself. The culture of Japan is unique and beautiful, and much of it stems from the discouragement of public individual expression. Communication strategies within the Japanese language too are so unlike any other cultures, bordering almost on telepathy. However, the Japanese need to put these beauties to one side if they want to use English as a tool for communication because English, in both language and culture, is not like Japanese at all. With Japanese English education being so exam-oriented and not focused on communication, it’s no surprise that it gives no thought to strategy and self-expression. But even in many English conversation schools where communication ability is an educational goal, students’ strategy and attitude development is largely ignored. The self-expression activities in LEARNING WORLD require our students to express an idea that’s unique for each student, and students are then required to present their work to the class. This experience is very valuable for students in at least two very important ways. Firstly, by having students express an idea that’s unique to each, we as educators are sending them the message that their ideas/thoughts/opinions matter. Secondly, by having students present their work to the class, we as educators are sending them the message that their ideas/thoughts/opinions have value. Giving students these beliefs is vital for the development of effective communication because by its very nature communication is the sharing of ideas/thoughts/opinions. Furthermore, in a society that relies on creative talent to solve its problems, it’s imperative that individuals have a positive attitude towards self-expression. Please don’t skip over the self-expression activities in LEARNING WORLD. They are vital “attitude-development exercises”. Over time you may find that students who have experience with these activities tend in class to speak out more than those students with little experience.